by Newton, Douglas; Jones, Julie; Ezra, Kate. Metropolitan Museum of Art Series, New York, 1987. Hardcover. For millennia, artistic tradition has flourished, separate and distinct from that of the west in these so called primitive overlooked areas. 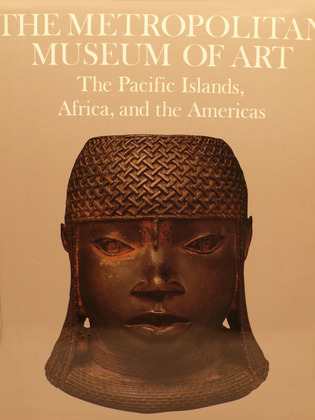 Numerous full page, full color photos enliven the text, by the eminent art historians of the Metropolitan Museum of Art ; Color Photographs; 4to; 160 pages. 118 colour plates, 2 folded maps.